Cute Teddy Bear wished me Happy Bday this year !!! A B’day Gift is always welcome even if its delayed….and if its the only thing that you ever wanted then nothing can be compared with it. 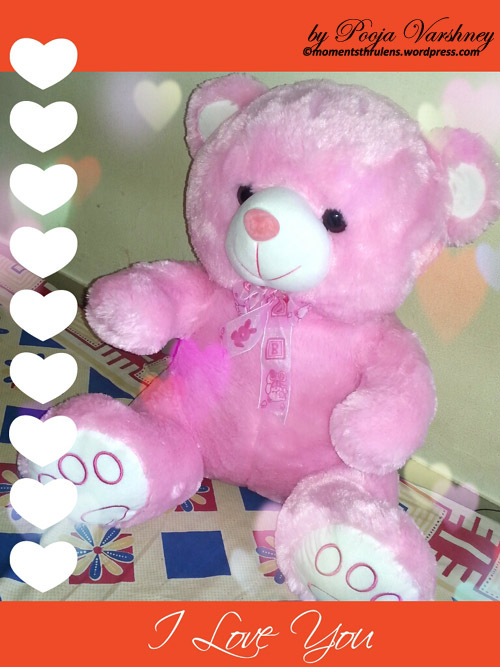 This Beautiful, Cute Teddy Bear I got this Bday…and I get overwhelmed everytime I look at it…..